Wow what an amazing month it’s been launching my first book! Thank you for your support! I’ve included an excerpt in today’s blog encouraging you to fix your mind on Christ and experience His joy no matter what! I’ll be in Israel October 1-12, leading a team alongside my husband and filming the video resource for my next Bible Study! Be sure to follow me on my social media channels to join us on our journey! Also, check my Schedule to see if I’m speaking near you! I would love to come to your area – just click “Book Angela” below to get the ball rolling! I love spotting M & M’s on my travels. Who doesn’t love chocolate?! 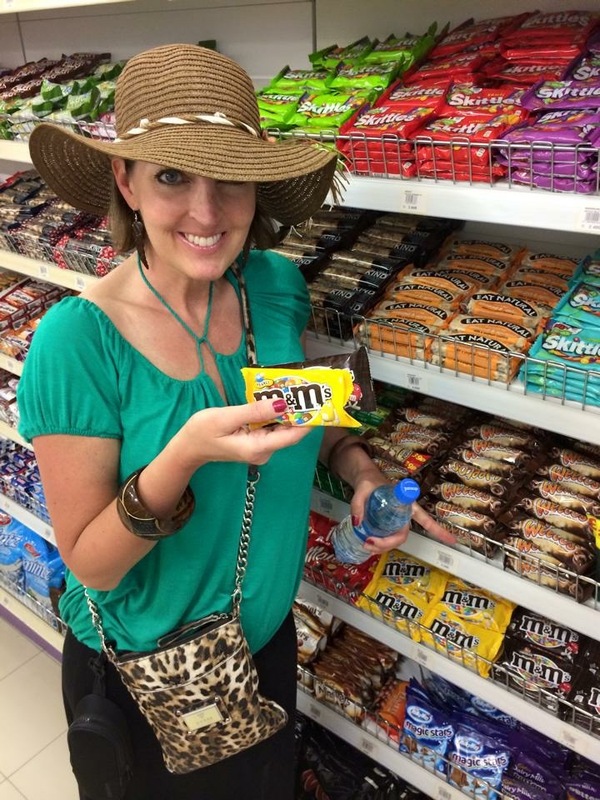 Look what I found in Tanzania! Look what I found in Italy! Between now and Sunday, September 23 at 9 PM, take a photo of your own M & M sighting and email it to angela@angeladonadio.com! 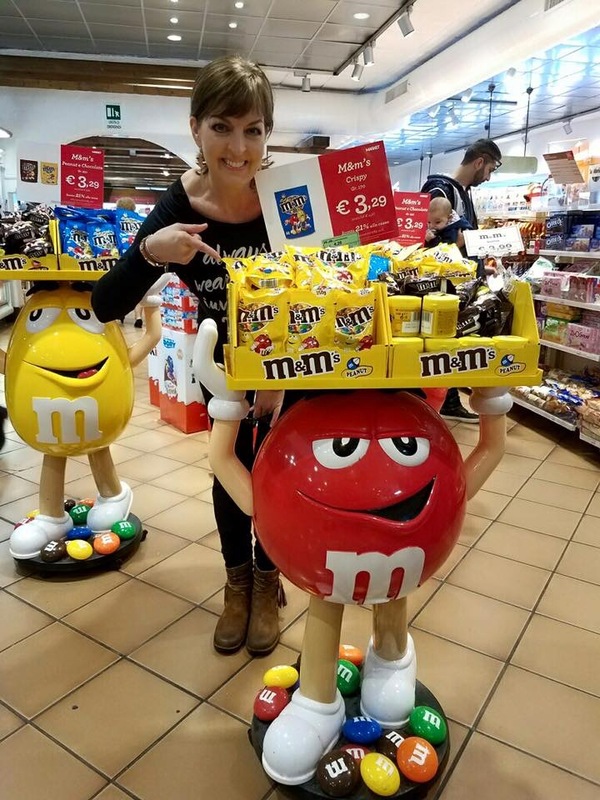 3 lucky winners will be featured on my social media channels and my M & M Sightings on my website!! Who-hoo! Praying for you today, friends! Enjoy this excerpt from my brand new Bible Study on Philippians. We have received God’s Spirit so we can understand His Word and have the mind of Christ. God wants us to experience the full potential of His will for our lives, fixing our minds on Him so we can live in perfect peace. Peace is an elusive, sought-after commodity that can’t be bought or sold. Isaiah 26:3 reveals how we can find peace in all circumstances. The key to peace is fixing our minds on Christ and his purposes. This Scripture doesn’t tell us God will keep us out of trials, but in and at peace no matter what is going on around us. Our mindset frames our perspective. What we believe about God will dictate our choices. Picture your mindset as a radio station dial, constantly scrolling through frequencies. When adversity knocks, we might be tempted to stop on fear, confusion, or anger. The same Holy Spirit that sustained Paul renews our mind through Scripture and tunes the frequency to joy.